We are a professional Private Pilot training school with members coming to us from across the country. It is not only the “first timers” but many experienced pilots looking for a friendly and innovative school have come over and become regular members. The PPL(A) is a minimum 45 hour course, however one’s own aptitude and consistency will determine the length of time and hours required to be up to standard for test. Whilst a structured course, the PPL can be scheduled around work and education. A more dedicated schedule is ideal but we understand the pressures of life, and we do not always have the flexibility to leave our jobs to do this. With this in mind we are open 7 days a week in order to cater for your progression. Based on flying once a week allow yourself approx. 12-18 months for course completion. On a full time basis it could be completed in little as 3-4 months. However please be aware this is all subject to weather, time and your own progression. When you have finished the PPL we offer a large range of great school events, like flight trips to Germany, France and the United Kingdom or you can rent one of our aircraft for the day and take a friend or loved one for lunch on Texel! Our team of experienced flight instructors is there to advise you and discuss the different options available. Our consultation, which is free of charge and supposes no obligation on your part, can ideally be combined with an initial trial lesson. If becoming a pilot is a real dream of yours and even possibly a career choice, then our discounted 5 lesson Introductory Package couldn’t be better! The package is a great way of finding out if learning to fly is for you. The last thing anyone wants is to commit to a course with the uncertainty that they may not want to complete it. So this package gives you all the advantages of touching the clouds without any of the drawbacks! With 5 lessons, which all count towards your licence, you will be immersed into the world of aviation. Whether you wish to book multiple lessons per week or once a week you will receive the same standard of training and follow a structured syllabus aimed at teaching you the first part of the Private Pilot Licence. During your time in the air you will learn about flying straight and level, climbing and descending and may even get to assist the instructor landing the aircraft. Your choices of Aircraft are the 2 seat Tecnam P2002-JF and the 4 seat Cessna F172 or Piper Warrior PA28. As with any course there is a degree of ground briefing for each lesson too. Here you will assess the weather conditions of the day and run through the lesson you will be flying. Our package includes a log book and syllabus to help you get you on your way towards your PPL. The only thing left to do is book up! All our aircraft are available for private hire, whether you are building hours towards your Commercial aspirations or want to take a friend and / or loved one to Texel for the day, simply call us and book! Our currency is 3 months on the aircraft type and in order to carry a passenger, you must have made three take off and three landings within the past 90 days. If you don’t meet the requirements, you can fly for a currency check flight with one of our qualified instructors. Aircraft are billed on the Hobbs reading and the rental rate includes fuel and VAT. Rental fees may be subject to a fuel surcharge and subject to change without notice. 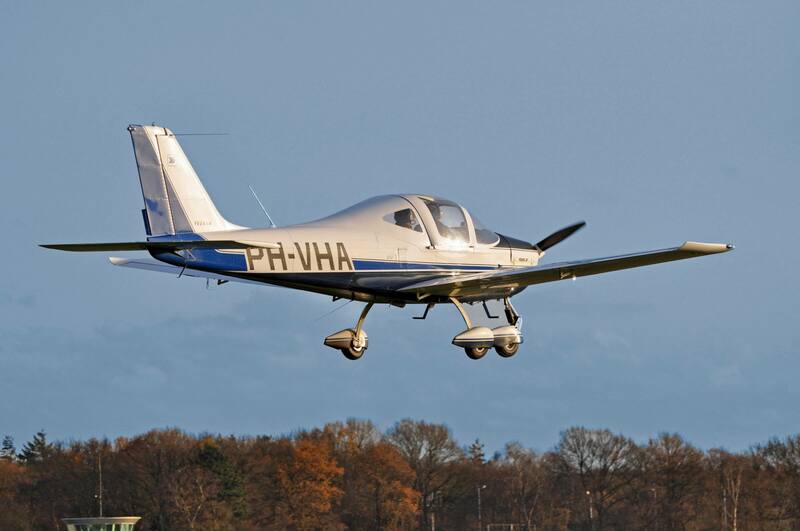 Vliegschool Hilversum offer an array of services ranging from trial lessons, aircraft rental to full PPL(A) flight training with an experienced and friendly team of Operations staff and Flying Instructors that can help you fulfill the dream of attaining your Private Pilot Licence. As a long established organisation, we look to provide the best training environment possible. We are a dynamic school with best practice not coming from one person as policy, but each one of us pushing forth ideas and challenges to better ourselves and our program so you benefit from it. Our own maintenance department is taking great care to ensure that our aircraft are maintained to the highest standard so that you can always be assured of a clean, well-maintained aircraft to fly. Any pilot you meet will always tell you their single greatest achievement was to gain their Private Pilot Licence. As a valuable skill, it shapes the manner in which you view the world – both from the cockpit and on the ground. The added bonus is that you will have access to the freedom of the skies and get to see so many different places that most people can only dream of. Here at Vliegschool Hilversum we know you will find as much joy in flying as we do. Whether your course is for fun or a step towards your next career let us lead the way.